The Calveley Mill shop is not just home to our very own quality cheese range, but countless other popular brands across a variety of products. Each month we are choosing a brand to put in the spotlight that have been particularly popular amongst our customers. This month we will be taking a look at a firm favourite of Calveley Mill customers, premium tea brand, Teapigs. Founded in 2006, Teapigs was founded by Nick and Louise, tea experts who had both been working for a large tea company, but wanted to bring focus to quality teas that were often overlooked by larger tea manufacturers. Dedicated to ensuring that their teas are made with the right ingredients, using whole leaf tea, herbs, spices and flowers, Teapigs has found a niche in the tea market for their strong focus on producing a quality product. This is backed by their use of a biodegradable mesh bag for the tea leaves to infuse perfectly. With 90 Great Taste Awards behind the brand, Teapigs has found massive success worldwide, with the brand currently sold in shops across 35 countries. 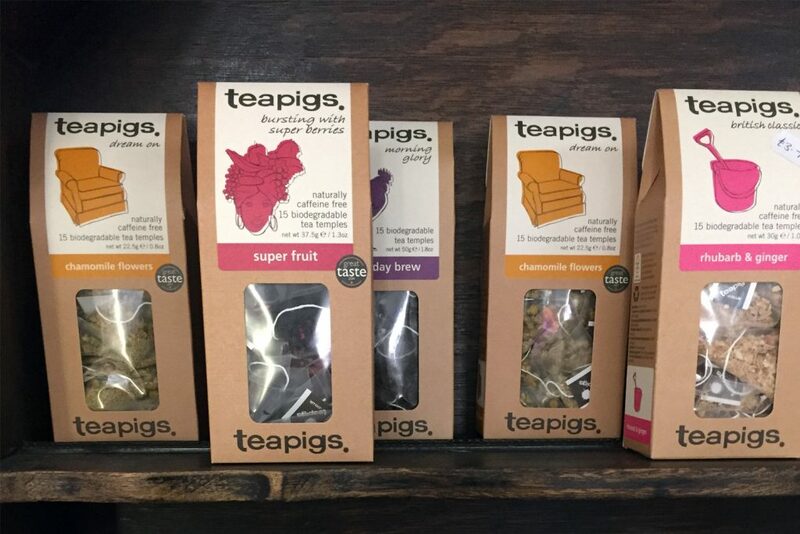 We are one of the very proud stockists of the Teapigs range here at Calveley Mill. No matter the tea preference we have the perfect flavour to suit each and every one of our customers, and with some great deals available on our in-store range, Teapigs is continually a customer favourite. Visit our Calveley Mill shop today to get your hands on our huge range of Teapigs products.